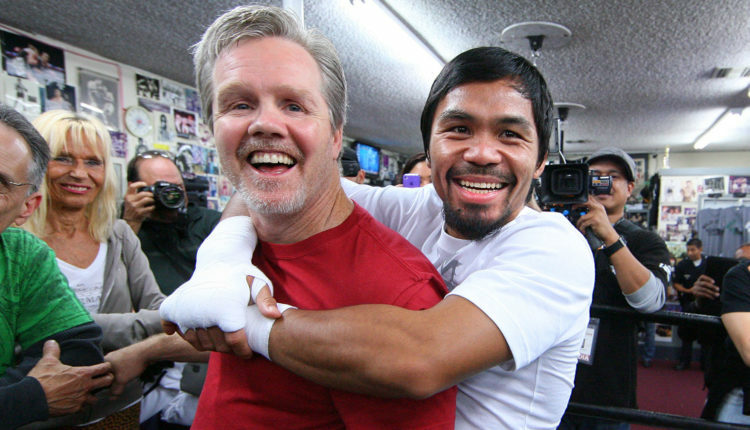 Even though it seemed like a nearly two decade working relationship had seen its end, Freddie Roach will return to Manny Pacquiao’s corner on January 19th. On Monday, Pacquiao revealed that Roach and longtime friend and co-trainer Buboy Fernandez will train Pacquiao for his upcoming title defense against Adrien Broner at the MGM Grand Garden Arena. For Pacquiao’s last fight, his July 15th knockout of Lucas Matthysse, Pacquiao chose to have Fernandez act as his sole trainer, not working with Roach after a long and successful partnership. Pacquiao claims he wants to lessen Roach’s role not for lack of skill, but due to Roach’s on-going battle with Parkinson’s disease. “Buboy and Freddie, they’re a team,” Pacquiao said of the two working together again. “Buboy is always there. He has experience, many fights with Freddie. So I think Freddie can instruct Buboy to do something like that. Because, you know, Freddie’s not young anymore and I’m, you know, I feel pitiful with Freddie. I’m praying for him, for the healing of his sickness. My plan, my thinking is he can use Buboy to do mitts in training, supervise and watch the training, like that. 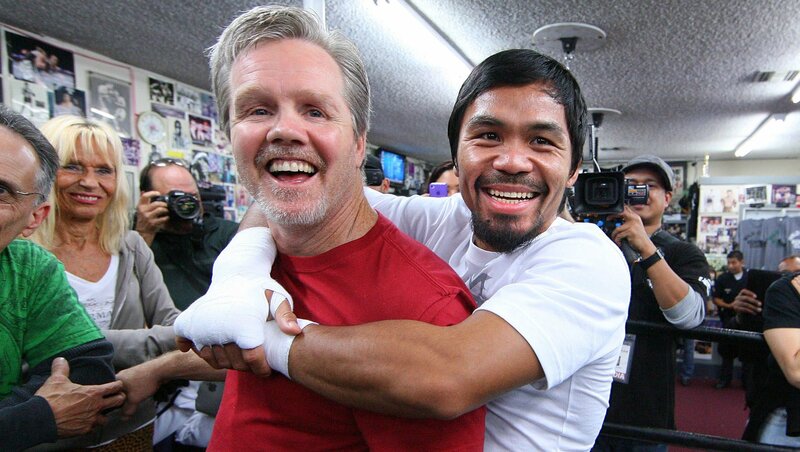 Pacquiao will move his training camp to Roach’s Wild Card Boxing Club in Hollywood, California, just before Christmas and after the Filipino Senate calls recess.